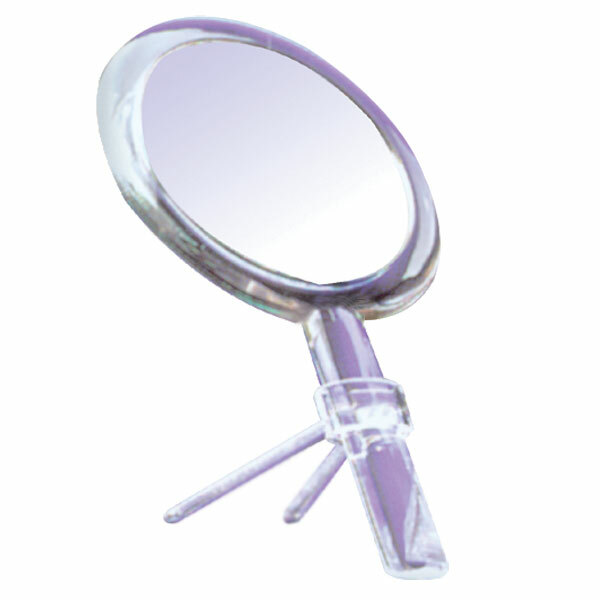 7 diameter optical quality dual sided hand mirror with stand. Styled in clear acrylic 7x magnification. Opposite side has a 1 x true image mirror.